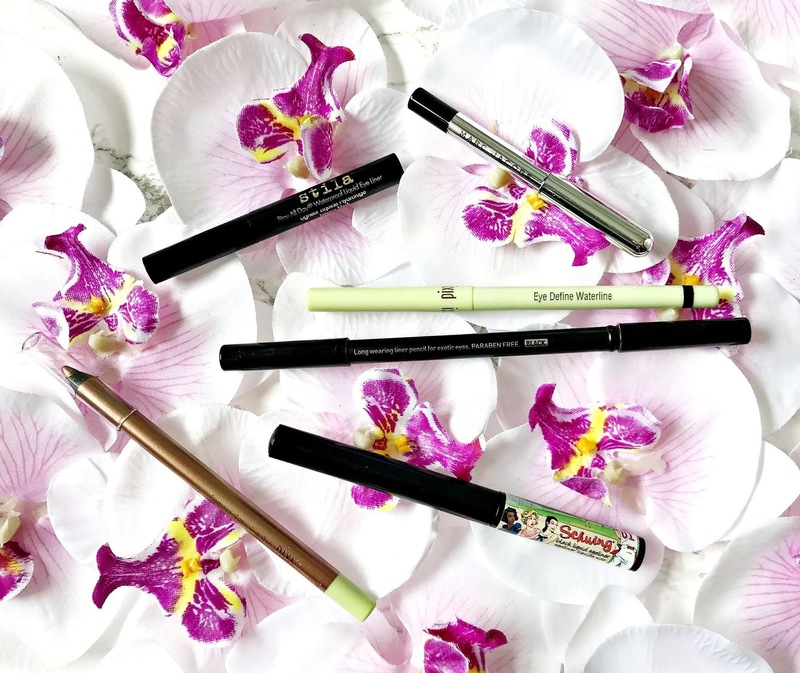 The best long lasting eye liners featuring theBalm, Pixi and more! I have often mentioned on here that I have the truly delightful combination (sense the sarcasm!) of watery eyes and oily lids and I have sported panda eyes on a number of occasions as a result. I love to wear eye liner because it really does define the eyes, and when worn in the right way, can make eyes appear bigger. I have tried so, so many brands of liners over the years and now have a number that I can depend on that I want to share with you today. Some are liquid, others pencil so if you are in the market for a new liner, there should be something here for you. Stila Stay All Day Waterproof Liquid Liner: This is one that I have repurchased several times. It has a fine tip, which I personally love as it's easy to create a fine line or build up to a full on cat flick. It is intensely black in colour, although other shades are also available. It dries quickly and then doesn't budge until I remove it. theBalm Schwing Liquid Liner: An intense black with a matte finish, this liner has a felt tip applicator that makes it easy to get right into the inner corner of the lid for a very precise application. It doesn't smudge or flake and is easy to remove. Marc Jacobs Eye Gel Crayon: I love how smooth this liner is - there's no chance of poking your eye out with this gel liner. I love this for tight-lining but it's also great for smudging around the eyes, but you have to act quickly as once it's set, it won't budge. Eye Of Horus Goddess Pencil: Another liner that's brilliant for tight-lining and smudging along the lash line. It's intensely pigmented and has a waxy formula but once it sets, it doesn't smudge. Perfect for creating a quick smokey eye! Pixi Eye Define Waterline: The ultimate liner for the water line - it feels soft, which makes it perfect for inner eye lining but it really does last on the eyes and doesn't make my eyes more watery in the way that other liners sometimes do. Pixi Endless Silky Eye Pen: Silky is the perfect word to describe the texture of these pencils. They're soft when applying but once dry, they're long-lasting. I am obsessed with this bronze shade, in particular, at the moment, but there are so many shades available so don't be put off if this isn't your kind of colour. Do you wear eye liner regularly? I'd love to hear what your favourite liner is? All products are bought by me, unless otherwise stated. The Pixi and theBalm liners were kindly sent to me. Opinion is always my own.